The CW has unveiled ten promotional stills for the season 6 premiere episode, Sanctum. While a few of these have been launched at NYCC 2018 back in October, there are some that are fresh. Please click on the thumbnail to gain access to that specific photo, or you may click on the link to access them all in the gallery. Looking through these photos, they have a very season one feel and emphasis. There are compound parallels to the pilot episode, with the gang landing on an unknown, if habitual planet. Another thing that I would like to point out is the high level of emotion that is presented. 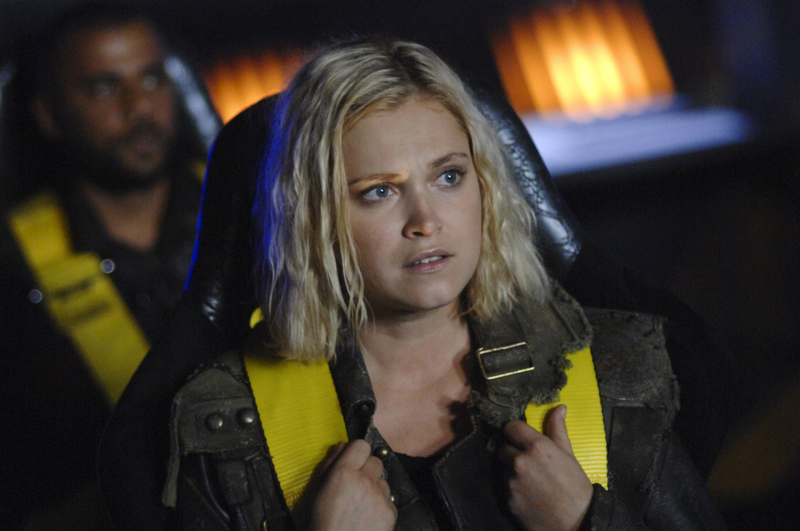 Clarke and Bellamy look equally apprehensive, and perhaps that they should be as this will be their second journey to the ground. They really don’t know what they’ll be facing or its safety. There are some soft elements as well as Clarke and Abby are saying their good-byes, Bellamy and Echo getting all cute and cozy by the fire, Jackson and Miller comforting one another, and Raven and Shaw holding hands. If you look in closely, there is a smiling Emori in the background, which I can tell that she is the most excited about the adventure. Or, at least, I assume that she is. If you had not checked out the trailer, poster, and opening credits, I suggest that you do because why should you miss out on great content?